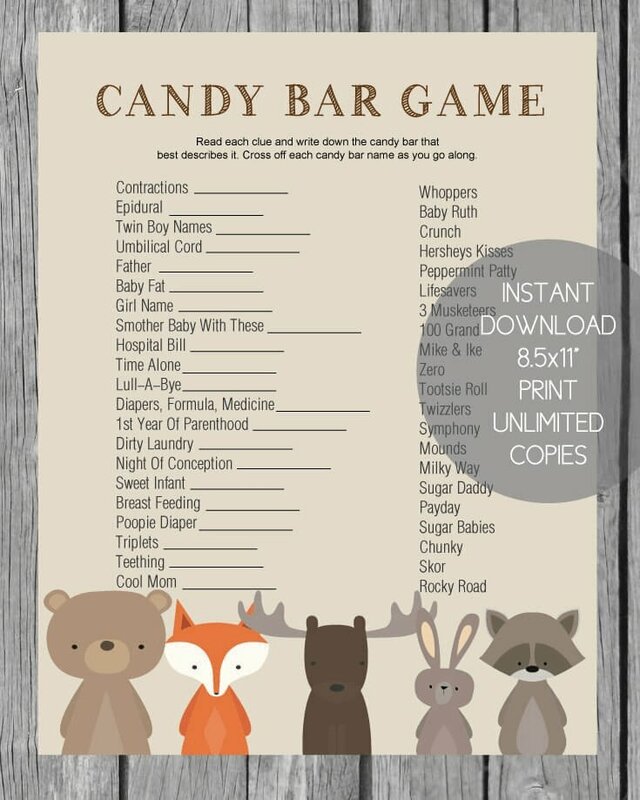 When it comes to baby shower games, it can be a struggle to find entertaining, non-corny games to play - games that guests will actually enjoy! You already have so many things to worry about ... favors, food, decor, supplies ... why stress over which games you should play? 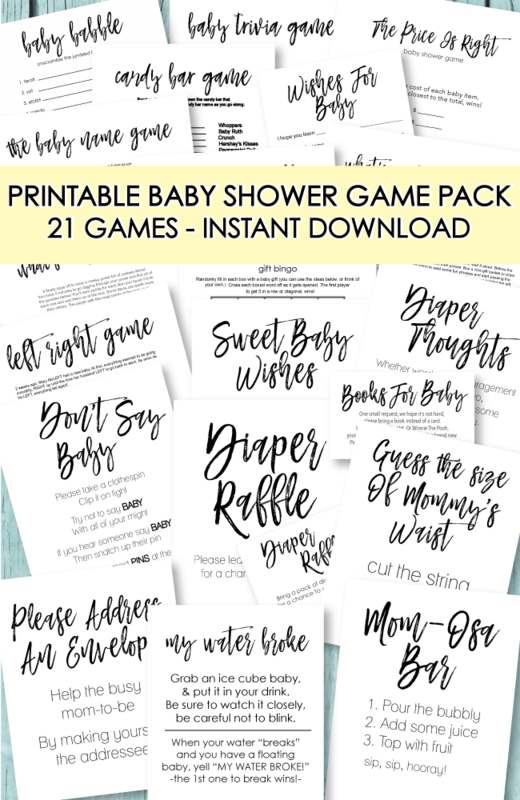 To make your planning easier, I took the 21 most popular games from the site and created the perfect, printable baby shower game pack - just for you! This easy-to-play, game pack is designed to save you time, money, and the frustration of having to look in a dozen places to find games to play, not to mention, trying to make them yourself. 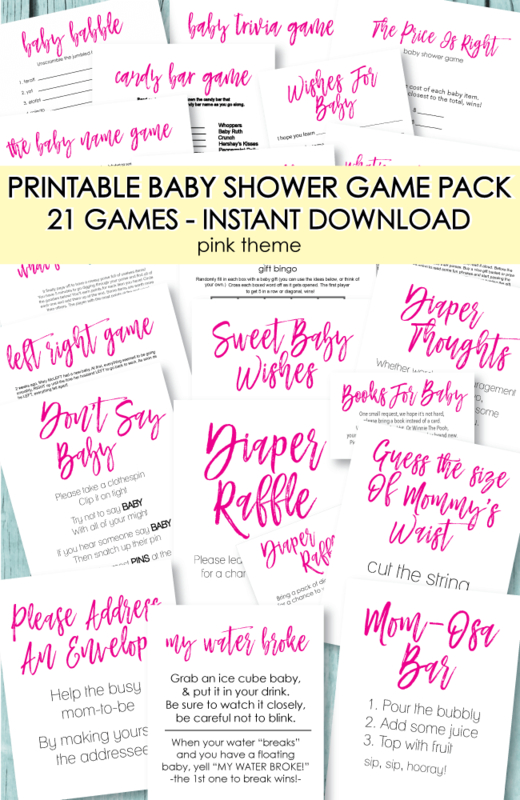 Ultimate Printable Baby Shower Game Pack? 21 popular (print-from-home) baby shower game templates have been bundled into a nice and tidy printable package for you - and they are all yours to keep forever. 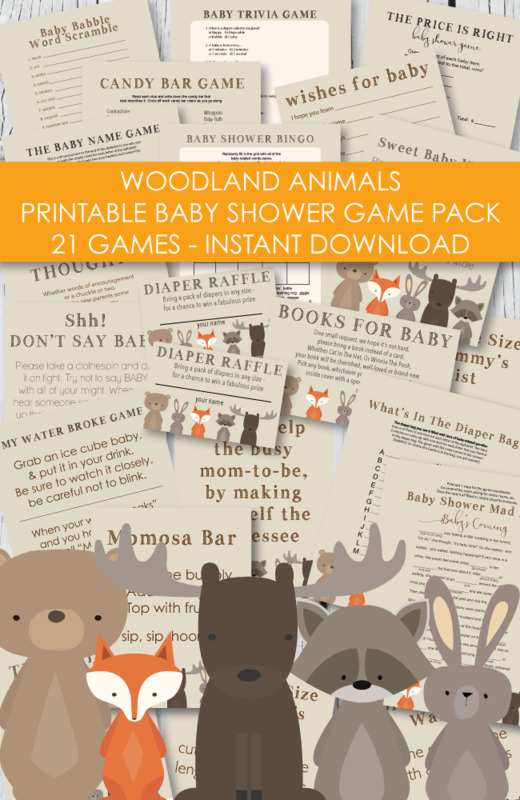 So whenever you have a baby shower to plan, you'll already have games taken care of! Answer keys / Instructions are included with each game (when applicable.) All of our products come as an instant download as soon as you order, so there is no waiting. Print from your home computer, or take to your local copy shop and you'll be ready to go. Print off as many copies as you need, anytime you need them - download them to your computer and keep forever! 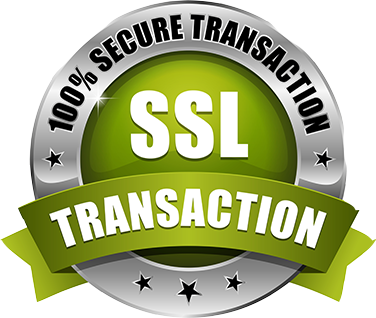 Your transaction is 100% secure. 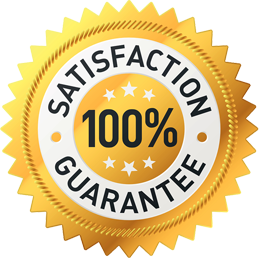 If you are not happy with your purchase, let us know within 15 days and we will give you a complete refund. No questions asked. These are digital products that you print from home or a copy center - no physical product will be sent.